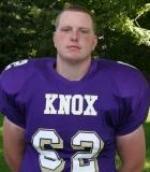 Alex Douglas is a 2004 graduate of Quincy High School and was a senior on the playoff qualifying team in 2003. 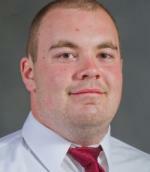 Andrew Paul is a 2011 graduate of Quincy Senior High School. Andrew was a two way starter for the Blue Devils in 2009 and 2010. The story behind Hall of Famer Bill Gross is one of great interest. An outstanding football player for his home town of Gibson City, Illinois, Gross earned all-state honors his senior year as a halfback and place kicker. 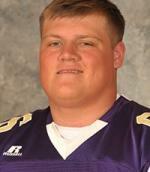 Blake is a 2007 graduate of QHS and is currently playing football at Culver-Stockton College. Blane Barnes is a 1980 QHS graduate who played for the late Paul "Coach K" Koscielski. Brad Bowen is a 2010 graduate of QHS and was on the 2009 team that qualified for the state playoffs with a 7-2 regular season record. Hall of Fame Inductee - Curt Lovelace is the consummate example of success through hard work and determination. This versatile young man was a mainstay on both the football field and basketball court during his years at Quincy High. Dave Harvey was in the first class to enter into the 1960's. A multi-talented athlete, Harvey collected varsity letters in basketball, baseball and football while at Quincy High. DeVaughn Hawkins graduated from Quincy High School in 1993 as a football and wrestling standout. Holzgraefe, a 1960 graduate, lettered in football, track and basketball. f there was ever a prototypical high school football hero, his name would be Eric Bush. Frank Stoddard is a 1991 graduate of QHS. He was a starter as a junior and senior at the wide receiver and safety positions. Harry Arp was a four sport star for the Blue Devils during the war years of the 1940's. Lettered three years in football, basketball and track from 1929-31 at Quincy High School, and was the captain of both the football and basketball teams as a junior and senior.